In spring, the ice is snow-covered and there is very little open water. Most sunlight is reflected, but some is absorbed. 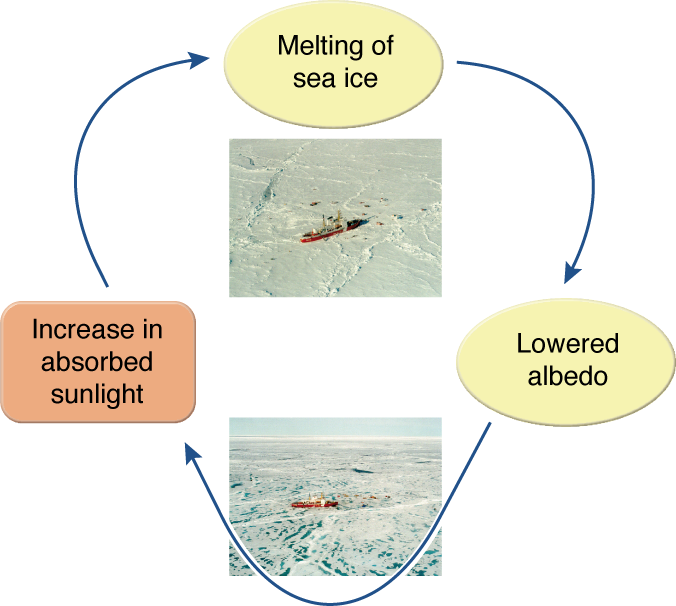 This absorbed sunlight leads to melting, which in turn reduces the ice albedo and increases the amount of open water. This causes the albedo to further decrease, increasing the rate of heating and further accelerating melting.